Select ... 6 lbs. 8 lbs. 10 lbs. 12 lbs. 14 lbs. 15 lbs. 16 lbs. Celebrate the Six Time Super Bowl Champions New England Patriots with this commemorative special edition bowling ball! 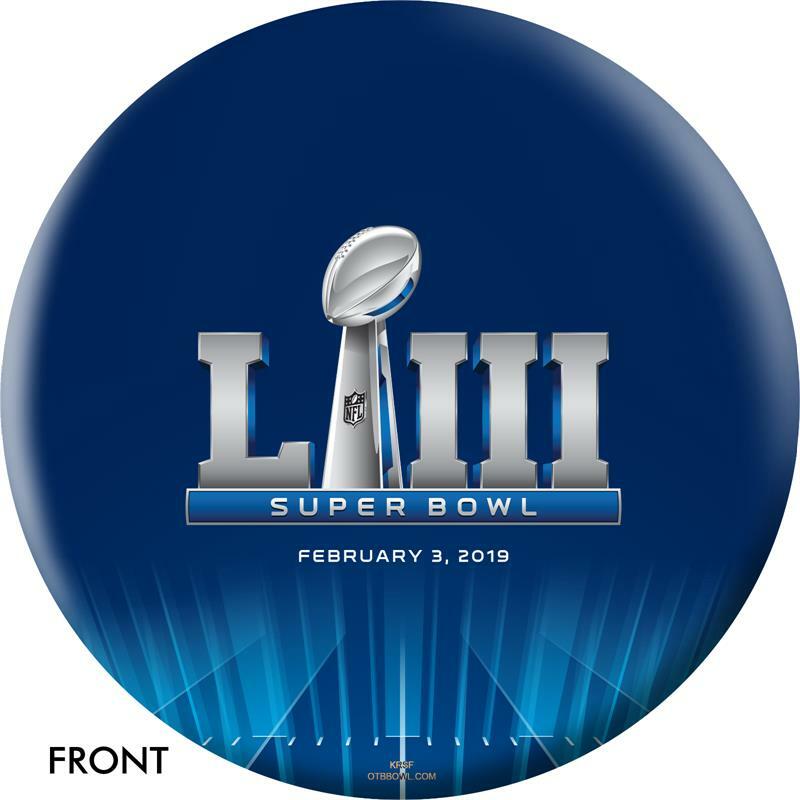 The front features the Lombardi Trophy and Super Bowl LIII February 3, 2019 designation while the back shows the inscription "6 Time Super Bowl Champions" and lists each of the championship years, along with the New England Patriots logo! This one of a kind New England Patriots Super Bowl LIII Champions Bowling Ball will grab everyone's attention and is the perfect way to show your team pride at the lanes! Available in 8, 10, 12,14, 15 and 16 lb. weights - great for adults and kids!